At Stonecoast, planning is one of the recognized principles linked with our training in Brazilian Jiu Jitsu . We set goals for each class, identifying the strengths and weaknesses of individuals whenever possible. This guarantees smooth progress and avoids unnecessary frustrations. For greatest value for motivation, goals should be specific and reasonably achievable. We use technique tracking cards that have specific goals and techniques which need to be signed off by an instructor prior to the child testing for each belt promotion. We pay close attention to self-motivation because we believe that this fuels self-fulfillment among individuals. We offer your child a consistent source of motivation that they will surely need in order to succeed and become a well-trained BJJ practitioner at our school. Not only are they training themselves but during each class, they are helping their training partner become better as well. I strongly believe that communication with the parent, student and Coach is super important to the development of your child in BJJ. I make sure that every child in class is fully engaged and participating. At the end of each class we do a review of the theories and techniques covered that day. Every month we do a belt test that the child prepares for by using technique cards and a coach signs off on and finally and parent give permission to test. In addition to that I conduct quarterly progress reviews for each student to make sure their journey in BJJ is a successful one. I give great value to another significant principle in training Brazilian Jiu Jitsu that is recognition of individuality. I believe that each child has a different means of understanding and perceiving the world around them. I consider each child individually and as part of the whole. Children learn at their own pace and to the best of their abilities. Our instructors know how to balance individual needs crucial to their improvement. We are all unique people with extraordinary mental and physical characteristics and special talents. By recognizing these things accurately, we are able to help in maximizing everyone’s potential. At Stonecoast we believe that one of our obligations is to preserve Brazilian Jiu Jitsu. Therefore, we ask students to practice certain techniques and skills in a specific and designated manner with no digression. An ideal example of this learning our fundamental and tested techniques. This is a means of preserving the tradition of the art. It is expected that our students excel in our classes. Some learn faster while others do not. But this does not necessarily mean that I will demand all our students to also learn fast and compete at the highest levels. I welcome all students who are eager to Brazilian Jiu Jitsu and have a very special skill that will follow them through their entire life. Stonecoast Brazilian Jiu Jitsu is the first of its kind in the state of Maine. As a ‘Kids only’ martial arts school, we start kids as young as 4 on a lifelong journey of health and personal growth. We focus on fostering a sense of self, of belonging, of family, and of community. Each class provides additional stepping-stones necessary to move towards individual goals in both fitness and personal growth. No two classes are ever exactly the same; kids are constantly learning, growing, and putting new knowledge into practice. Shaun Durfee has been involved with sports and athletics his entire life. During his high school career, he played football in Texas. After high school, Shaun moved back to Maine and played rugby with the Portland Rugby Club for a few years. 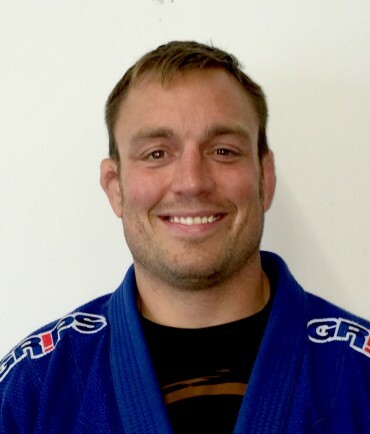 In 2004, Shaun met Jay Jack and started training in Jiu Jitsu at The Academy with Jay and his wife, Amanda Buckner. 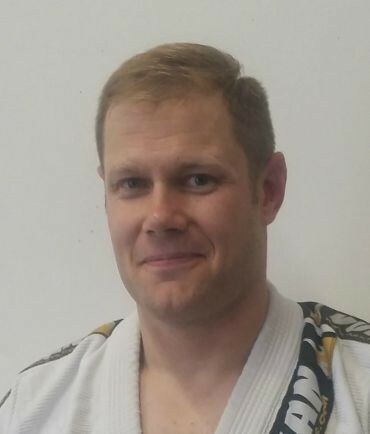 Shaun earned his black belt under Jay Jack in July 2015, after years of training, coaching, and tournaments where he continued to test himself through this sport. Shaun has competed in MMA, Muay Thai and Brazilian Jiu Jitsu over the last ten years, at various levels. The last few years, he has focused on Sport Jiu Jitsu (grappling), and has traveled all over the country to compete with peers at his level, from around the world. Shaun’s favorite part of Jiu Jitsu, is teaching others, and he has been teaching kids and adults for the past 7 years at The Academy. Shaun has had a dream of one day opening a Brazilian Jiu Jitsu School just for kids, and has realized that dream through Stonecoast. Stonecoast is the only Kids only BJJ facility in the Northeast. Shaun feels it is important for the kids to have a place that is their own where they can maximize their skills with other kids and teens who share the same love for this sport. Brazilian Jiu Jitsu is unique in that, it is an individual sport where children and adults can train and compete together at various levels, but the Stonecoast Kids behave like a family. At tournaments and in daily training, Shaun expects the highest level of sportsmanship. When Shaun is not teaching or training in Jiu Jitsu, he likes to challenge himself in other events, which test his mental toughness and endurance. Shaun lives in Greater Portland with his wife, Sarah, and son, Owen, who is 8. Brian Mailhot “Coach Hacksaw” grew up idolizing the grapplers and wrestlers he watched on TV. This fanaticism led him into a 7 year career as a professional wrestler, which included a stint as a performer with World Wrestling Entertainment (WWE). After leaving professional wrestling, Brian found Brazilian Jiu Jitsu in 2006 and discovered a true love for real wrestling and the human chess match involved with each interaction on the mat. A brown belt under Jay Jack, Brian has competed at the highest levels throughout the country. Years ago coach Jay Jack nicknamed him ‘Hacksaw’ and he’s gone by that name ever since. When ‘Coach Hacksaw’ isn’t in the gym, he enjoys running, hunting, and playing with his two sons, Angus and Lars. Matt Frahm was born in Phoenix, Arizona. He spent part of his childhood there, and the other part in Berlin, New Hampshire. An athlete from childhood, football, snowboarding, and wrestling were his sports of choice. They helped prepare his mind and body for the endeavor of BJJ. He came to Maine to study Business Management at University of Southern Maine and found his home. Currently, he works as a bartender at an Irish Pub in downtown Portland, although his true calling, and hardest work, is Brazilian Jiu-jitsu.Introduced to BJJ by an ad posted on a wall in a local restaurant, Matt took the leap of faith and showed up to The Academy for the first time at age 24. It was love at first roll! Matt started training in 2007 under Jay Jack. With passion and dedication for the sport, Matt spent, and still spends, hours each week in the gym and has earned the rank of family member and Brown Belt at The Academy. In addition to The Academy, Matt spend two months in January of 2015 training in Rio de Janeiro, Brazil. Staying in a BJJ Hostel, he was immersed in the Jui-Jitsu culture and trained at Gordo Jiu-Jitsu & De La Riva Academy. While there he attended seminars and worked with many world class BJJ Black Belts, such as Robson Moura, Eduardo “Tete” Rios, and Roberto “Gordo” Correa. 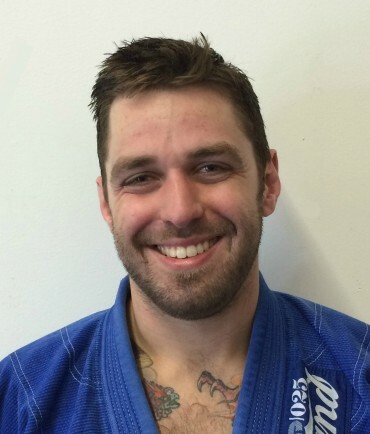 Jiu Jitsu has helped Matt find a level of confidence that permeates to all aspects of his life. Starting as a young man, it has been a major factor in shaping the strong, dedicated, disciplined and compassionate man he has become. At the gym you can always find him teaching a technique to someone new, encouraging others and playing with whichever kid has decided to horse around with him that day! Not having any experience with children, he is nonetheless a child magnet and a natural with the children around him. The transition into working with Shawn Durfee and Stonecoast BJJ was easily the next step for this natural born teacher. We can’t wait to see where Matt takes his Jiu-Jitsu and even more where Jiu-Jitsu takes Matt.